TV Guide Magazine’s Television Industry Advocacy Awards highlight those in the TV business who make the world a better place by helping people in need. In partnership with TV Guide Magazine and TV Insider, BBVA Compass honored celebrities and producers who brighten the lives of others. To get a better understanding of what it means to Live Bright, take a look through BBVA’s 10 Bright Principles, as embodied by some of TV’s most inspirational characters. She’s been through six seasons of Dothraki abduction, slave liberation and dragon rearing, but Daenerys Targaryen has never lost focus on her ultimate destination. Now those years of determination are primed to pay off as Game of Throne’s Mother of Dragons sets sail across the Narrow Sea to reclaim a few of her many titles in Westeros. Dany is a prime example of a woman who knows where she wants to be and lives her life with purpose. Maura Pfefferman struggled with her identity for decades before finally building the courage to present herself to the world as she knew in her heart she should be. Her life is still far from perfect, as are the lives of her three children and every other character on Transparent, but the show demonstrates that living truthfully lifts a burden of self-doubt from the soul, and it’s never too late to start. Kara Zor-El, aka Kara Danvers, arrived on Earth at age 13, years after her cousin Kal-El had already established himself as Superman. Since the world already had the hero it needed, or so she thought, Kara decided to hide her powers and lead a normal life with her adoptive family. It wasn’t until Kara was recruited by the Department of Extra-Normal Operations that she realized that National City needed Supergirl. 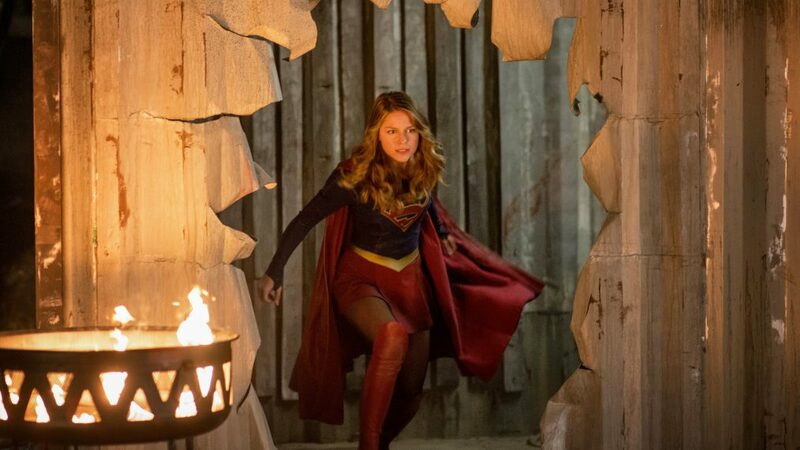 Embracing her strength, Kara now protects citizens from extraordinary threats. Matt Murdock didn’t gain the title of Man Without Fear by shying away from risk. After losing his sight and later his father as a child, he gained the courage to don the Daredevil mask. Now a charming attorney by day and a fearsome defender of Hell’s Kitchen by night, he regularly faces impossible odds to stand up to a city’s worth of crime and protect the people in a way no one else can. Sherlock sees the world in a way no other detective can match, but without the help of his trusted companion Watson, he wouldn’t get far. Watson’s complementary skills and loyalty allow Sherlock to focus on what he does best, without getting dragged down by his personal struggles or social inadequacies. Tom Haverford wears many entrepreneurial hats throughout the run of Parks and Recreation. Some of his business ventures (high end clothes rentals for kids) turn out to be more successful than others (noxiously potent booze), but even his most promising and thoroughly considered endeavors like Tom’s Bistro end in failure. By the end of the series, Tom has literally written the book on finding the upside to failing as a means to personal growth. Bobby “Axe” Axelrod is an exceedingly wealthy man, but he didn’t always have the resources to buy all the speedboats and fancy toys a man could ever want. Axe worked his way onto Wall Street from a relatively modest upbringing to find himself at the level of his Billions rival, Chuck. A few dubious ethical decisions aside, Axe is a cunning hedge fund manager who knows how to change his surroundings to his benefit. Black-ish's Dre Johnson is a successful man striving to provide a better life for his family, but he also makes an effort to keep things in perspective. Concerned that his suburban kids may lose sight of their African-American roots, Dre does his best to impart a grounded, authentic worldview. King Ezekiel is a rare benevolent ruler in The Walking Dead’s world of harsh, hardened survivors. When Carol made a move to leave the Kingdom soon after she had arrived, Ezekiel countered her exhausted nihilism with a message of hope for the future and thankfulness for the increasingly rare good things in life. So far Ezekiel, unlike his fellow post-apocalyptic community leaders Rick, Gregory and Negan, seems to hold a refreshingly deep appreciation for his people and the lives they are able to provide for each other. Kimmy Schmidt has a lot of lost time to make up for, and she couldn’t be more excited about it. Abducted by a cult leader as a teen and held in an underground bunker for 15 years, Kimmy has every right to be a little bit sour, but instead, she almost always chooses to look on the bright side and experience the world through an irrepressible sense of wonder. Keeping her head up in the face of adversity and finding constant happiness despite living in a basement apartment in a rough neighborhood of New York, Kimmy is an inspiration.